A product labeled "whipped butter" is regular butter that has had air beaten into it in order to increase the volume and to make it easier to spread. 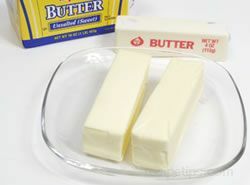 It should not be used in baked goods because the large volume of air contained in the product will result in the incorrect proportion of butter in comparison to the other ingredients. It isn't necessary to purchase expensive, flavorful oils for cooking, since the flavor will dissipate when heated. 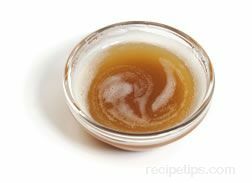 Therefore, purchase inexpensive oils for cooking and reserve the great taste of pricey oils for use as a condiment or when preparing salad dressings. Avoid purchasing expensive, unrefined oils that have not been properly stored or displayed in a market or retail outlet. Heat and bright light are the enemies of many edible oils and the improper conditions may cause rapid deterioration, especially if the oil is not a big seller and has remained on the shelf for a lengthy period. Although rarely found on store shelves today, oils that have been bottled in reactive metal containers such as copper, should not be purchased. The quality and flavor will differ greatly between different brands of olive oil. Some shops specializing in olive oil may offer samples to help you decide on a specific selection. Prices for a half liter of high quality extra virgin olive oil may range from $7 to $32, which is comparable to a bottle of wine. In order to be a bit more affordable, expensive olive oils can be purchased in smaller sizes and then used occasionally for salads or as a condiment. When shopping for olive oil, keep in mind that the color of the oil depends on the type of olive and the degree of ripeness of the olive when it is harvested. An olive oil with a lighter green color may indicate that the olives were younger and were probably green or yellowish-green when picked. Some olive varieties produce a darker green oil when they are fully ripe. An olive oil with a yellow color may indicate that the olives where riper and had turned from green to blue, purple, or black. When purchasing an expensive, single estate olive oil, the age of the oil is important. Look for the harvest date on the label and ask questions before buying. Olive oil does not improve with age, so any oil that is older than 1½ years should not be purchased. Olive oil is always of the best quality in the year it is produced, unlike wine, which may require several years to reach its peak. 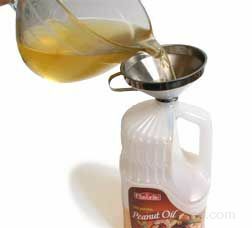 Other popular sources for purchasing high quality edible oils are mail order catalogs and the Internet. Many individual edible oil producers issue catalogs and/or have Web sites that allow consumers worldwide to purchase various products. Use flavorful oils in marinades for meat, fish, or poultry. 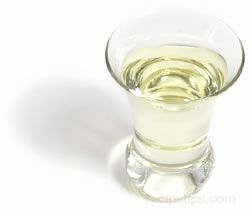 Instead of serving butter with bread, pour your favorite oil into a saucer or onto a small plate for dipping. Extra virgin olive oil, nut oils, or flavored vegetable oils are good choices. 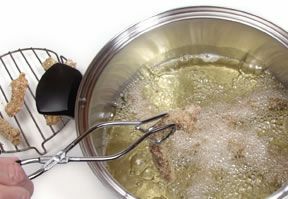 When using butter for frying, add a bit of cooking oil to help prevent the butter from burning. Brush your favorite cooking oil onto meats while broiling, grilling, or roasting to help brown the meat and seal in the juices. Use flavorful oils, such as olive oil or nut oils, instead of butter on cooked vegetables. It is important that the oil or fat is heated in the pan before the food is placed in the pan. 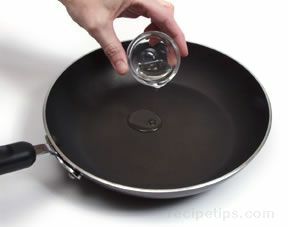 This prevents food from soaking up excessive oil or fat and it helps prevent the food from sticking to the pan. Substituting olive oil for butter in baked goods allows a smaller quantity to be used; in most cases up to 25% less fat is used when baking with olive oil. Light olive oil is ideal for baked goods because of its subtle flavor. Deep-frying is a safe process for cooking food if the proper equipment is used and common safety rules are followed. A wire basket may be used to hold the food so that it can be safely lowered and raised in the hot oil. Any utensils and equipment that come into contact with the hot oil must be thoroughly dried first. Moisture on the utensils will cause splattering, which can be dangerous. Food should also be as dry as possible before it enters the hot oil to prevent splattering. The hot oil should not be left unattended and children and pets should NEVER be allowed near the cooking area. A fire extinguisher and heavy potholders should always be within reach. After the cooking is completed, the oil should not be transferred to another container or disposed of until it has completely cooled. It is extremely dangerous to pour the hot oil from the cooking vessel. For the best results when deep-frying, choose refined oils with a smoke point higher than 375ºF. The olive oil grade "olive oil," is excellent for deep-frying because it is a refined olive oil and therefore has a higher smoke point (410ºF) than unrefined virgin or extra virgin oils. Most types of oil used for deep-frying may be used again. The oil can be filtered after it is used to remove any impurities. 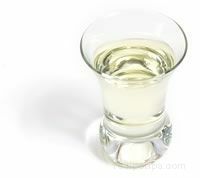 If a strongly flavored food was fried in the oil, the oil can be freshened by frying a piece of citrus fruit, such as lemon or lime, or pieces of potato, before the oil is filtered for reuse. Some oils may be used 3 or 4 times when cleansed and filtered between uses. Most types of oil used for deep-frying may be used again. 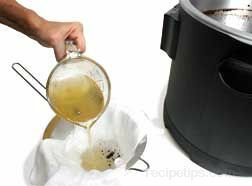 The oil can be filtered to remove any impurities, however allow it to cool to room temperature before attempting to remove it from the cooking vessel. Line a strainer with cheesecloth and position the strainer over a large bowl. The cheesecloth lined strainer will allow all particles to be filtered from the oil. If cheesecloth is not available, a coffee filter or two or three layers of paper towels can be used instead. When removing the oil from a large deep-fry cooker that does not have an oil drain value, it will be necessary to bale the oil from the pot. A measuring cup or large ladle work well for this. 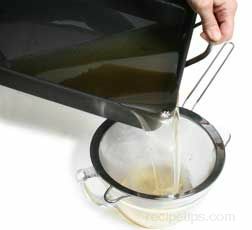 If the food has not been breaded or if it has not been seasoned excessively before frying, the oil many not require filtering. 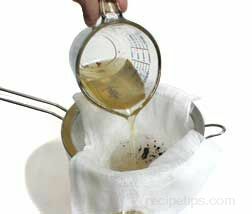 Simply pour the oil through a strainer, without the cheesecloth, to remove any large particles that may have accumulated during the cooking process. If a strongly flavored food was fried in the oil, it can be freshened by frying a piece of citrus fruit or pieces of potato in the oil before it is filtered for reuse. Some oils may be used 3 or 4 times when cleansed and filtered between uses. When cooking oil is filtered and cleansed, some of the original quantity may be lost, so it may be replenished with new oil if a specific quantity is required for the next use. After the oil has been cleansed, it can be poured back into its original container for storage, but make sure the oil has cooled to room temperature first, especially if the container is plastic. Fill the container with the aid of a funnel. Be sure the oil is covered before storing, however do not place the cover on the container or refrigerate it unless the oil is completely cooled, otherwise moisture may accumulate inside the container and cause rapid deterioration of the oil. The oil can be stored in a cool, dark area if it will be used within a month. For longer storage, the oil can be stored in the refrigerator for several months. Freezer storage will further extend the shelf life. Note: When chilled, many oils will thicken and become cloudy in appearance. When reheated, they will return to their normal consistency and color. There are several signs indicating that reused cooking oil has deteriorated. When any of the signs listed below are recognized, the oil should be discarded. Dispose of the oil if it has a rancid smell or it begins to smell like the food that has been cooked in it. The oil will darken more with each use, but the darkened color does not necessarily indicate that the oil is unfit to use. A darkened appearance in conjunction with a bad odor indicates that the oil should be discarded. Discard the oil when it begins foaming on the surface. Do not reuse oil if the smoke point has been greatly reduced. If the oil smokes excessively before reaching 375°F, it should not be used. Do not use oil if it does not bubble when food is added to the heated oil. The number of times the oil has been used. Exposure to heat, light, and oxygen. Moisture absorbed by the oil. Impurities, such as food particles, seasonings, rubs, and salt. The combination of different types of oils reduces the quality by reducing the smoke point. If used oil shows any signs of deterioration, it should be properly disposed. The oil must be completely cooled before handling it. Listed below are suggestions on used oil disposal. DO NOT POUR THE COOKING OIL DOWN THE DRAIN. Even if the oil is poured slowly into the drain with hot water, this practice will eventually cause problems with the plumbing. Pour the cooled oil into the original containers. Plastic milk jugs also work quite well. Most municipalities allow the containers of used cooking oil to be thrown into the trash for general collection, however it is important to check with local officials or the waste hauler to be sure that this is acceptable. Some cities have a recycling program for cooking oil. Check with your city officials to see if this option is available in your area. The used cooking oil can be taken to a local landfill. Used cooking oil is biodegradable so it can be composted with other food scraps. Because no two batches of olive oil are ever the same, tasting is important. An inferior oil may ruin the flavor of food, but a good oil will enhance the flavors without overpowering the food. 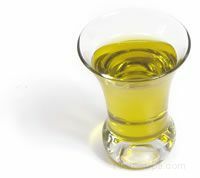 It is always best to taste olive oil first before it is used in cooking or in salads to ensure that the flavor is pleasing and it will work for the specific dishes that you have planned. 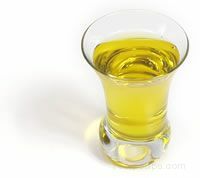 The criteria for judging olive oil is based on the aroma and the taste. 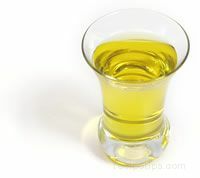 The color of the olive oil is of little importance to the overall quality. The alcohol, ketones, esters, and hydrocarbons present in the oil determine the aroma. Processing and storage methods also have an affect on the aroma. 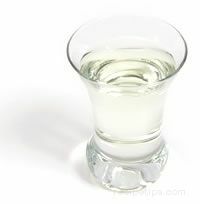 The taste of the olive oil is judged by its positive and negative taste characteristics and by its saltiness, acidity, bitterness, sharpness, and/or sweetness. 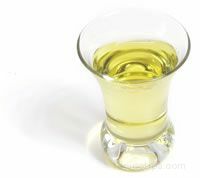 The color of olive oil is not necessarily used as a criteria for quality. The color allows the judge to determine the age of the olives at harvest time. Young olives produce green colored oil and more mature olives produce a yellow color. Olive oil takes on a red tint as it oxidizes. 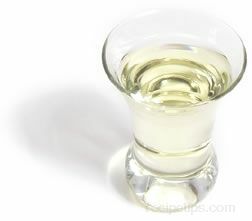 Judges are often blindfolded when tasting olive oil so the color is not known until after the tasting. An experienced judge may be able to determine the color of the olive oil based solely on the aroma and flavor characteristics of the oil. desirable or undesirable, as judged by olive oil tasting experts. A hint of apple flavor can be very desirable. A subtle, nutty flavor, common in Spanish olive oils. Similar to an artichoke flavor. 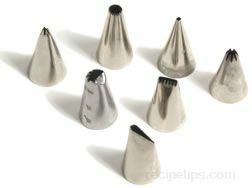 The oil creates a puckering sensation in the mouth, which if not overpowering is considered to be a positive attribute. A bitterness that is very subtle is desirable. A similar flavor and aroma as a ripe olive. Most olive oils are fruity after pressing, but may soon change in flavor and aroma. An oil that is classified as fruity does not lose this characteristic. A young oil with a fresh, fruity or weedy aroma and flavor. A slight melon flavored aftertaste. If not too strong, it can be very desirable. A distinct peppery flavor that is common in many Italian olive oils. A subtle, mildly sweet flavor found in mellow oils. Many French oils have this quality. Although a subtle bitterness is considered desirable, a strong bitter flavor is a negative trait. A briny, salty flavor indicates the oil was produced from brined olives. An undesirable flavor caused by an unacceptably high temperature during processing. This characteristic refers to oil that has remained in contact with the vegetable water, which was separated during pressing. The oil absorbs unpleasant flavors from the water. A musty and humid flavor and aroma. This refers to olive oil that has lost most of its flavor and aroma. Olive oil that has a petroleum flavor. An unpleasant, moldy flavor that occurs in olive oil if the olives were stored too long before pressing. Olive oil may absorb a metallic flavor from reactive metals, either during pressing or when stored. Reactive metals should not be used for the production or storage of olive oil. A pronounced moldy flavor caused by fermentation of olives that have been stored too long before pressing. 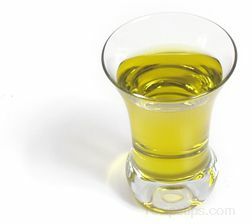 A bad flavor caused by the oxidation of the olive oil because of exposure to air and/or light. A pasty and greasy feel in the mouth. Olive oil that has a very acidic flavor.